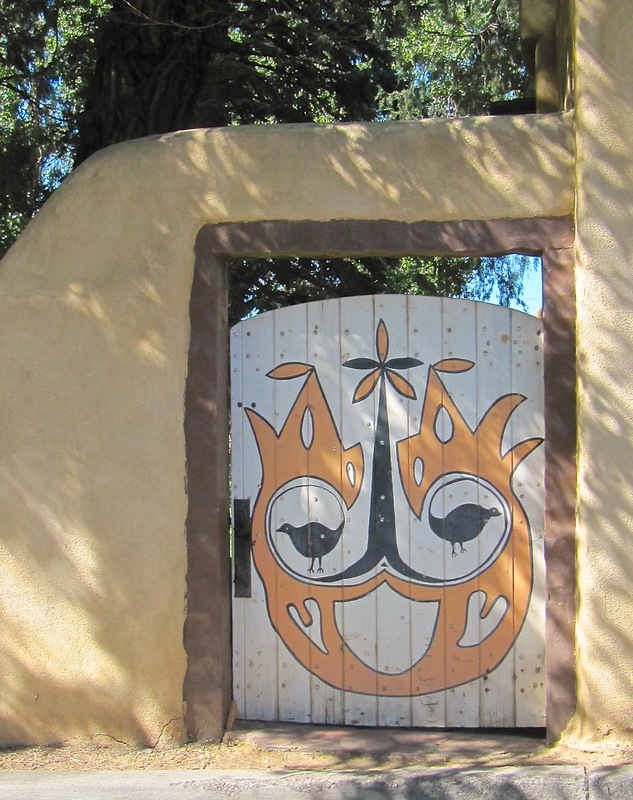 What’s behind the adobe walls of Northern New Mexico? 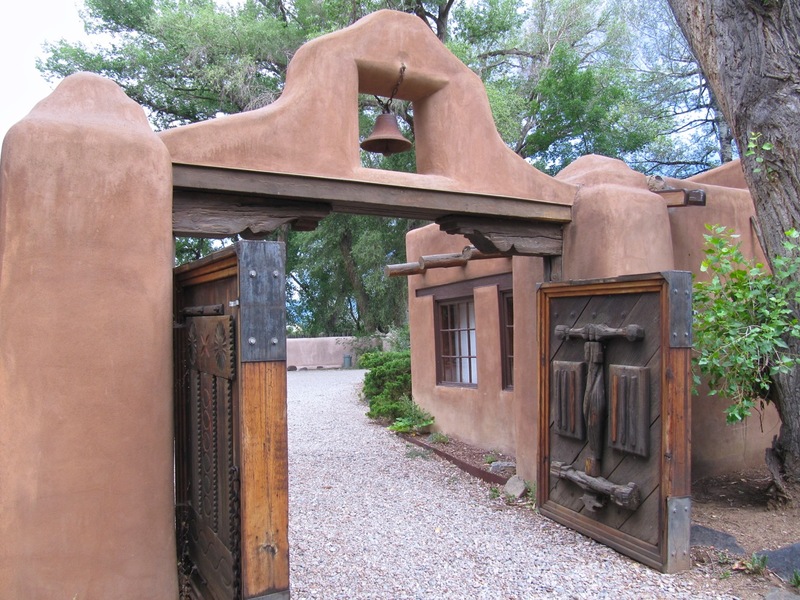 Almost as intriguing are the doors and gates that allow entrance behind those adobe walls. 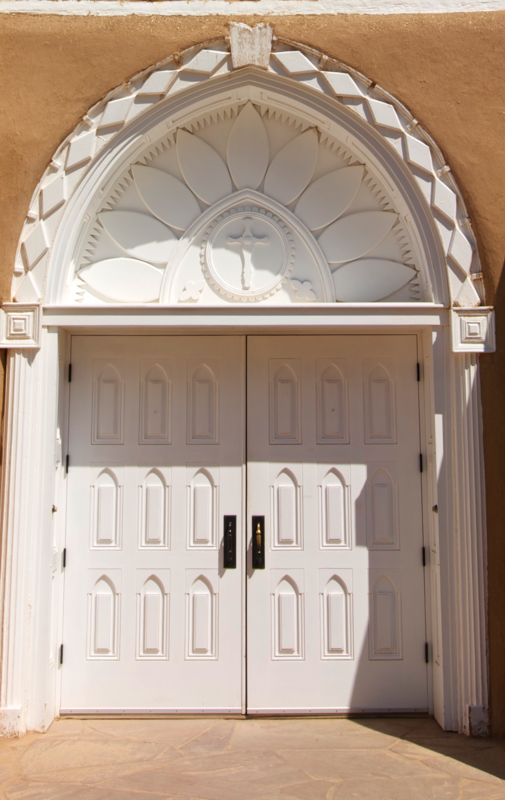 From ornate to functional the entryways display individualism and originality. 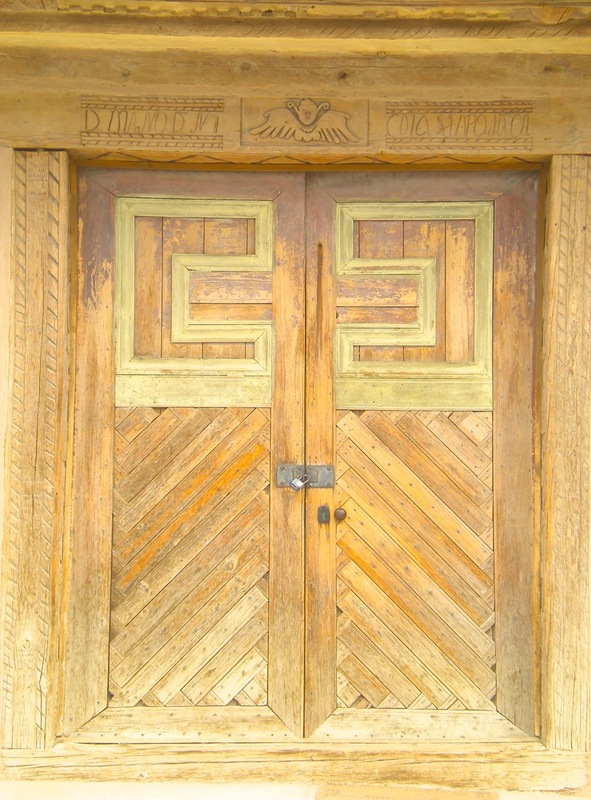 We find elaborate carvings such as those in the Fechin House and others that seem to have survived years of neglect. Color adds to the interest and appeal. 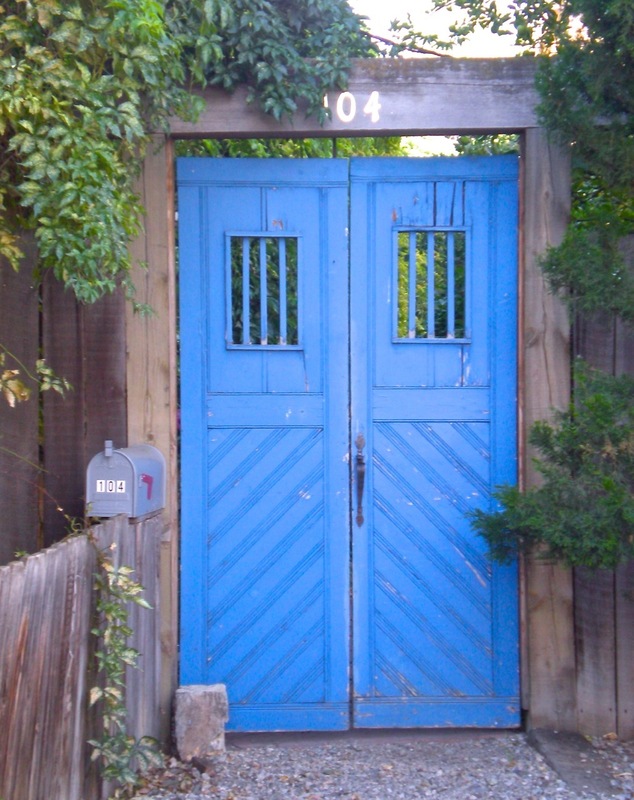 Blues predominate in many shades and tints. 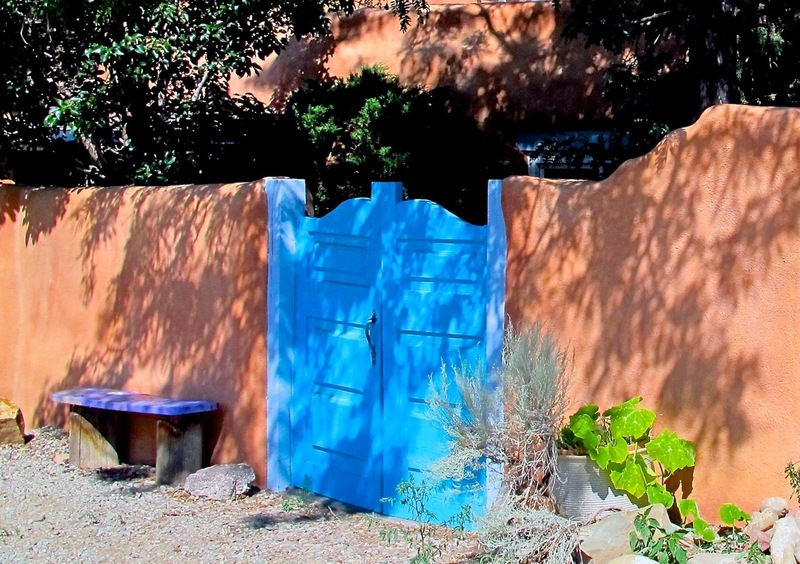 The label Taos Blue is often applied but there seems to be no agreement as to the exact hue. 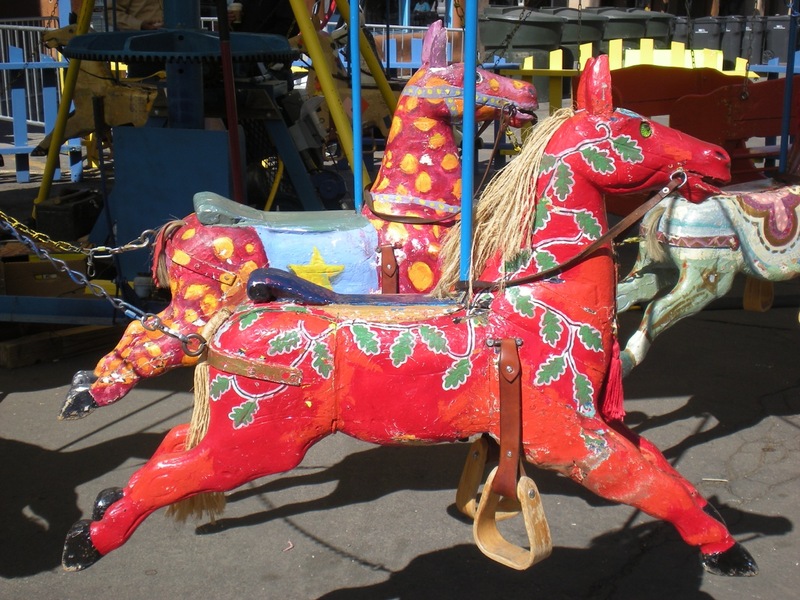 There are no rules or standards, neon green or cherry red, arched or perfectly squared off, anything goes. 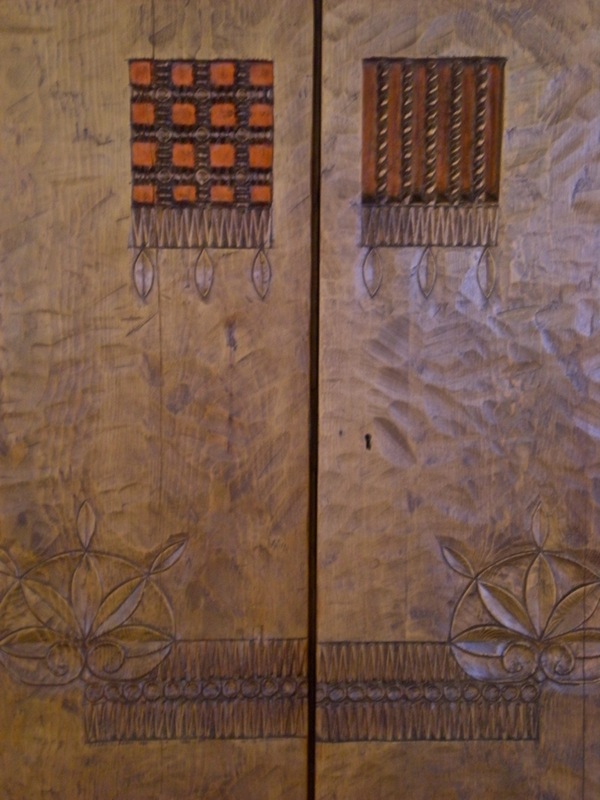 These doors and gates lead to public and private gardens, homes, shops, restaurants,galleries, museums, and churches. 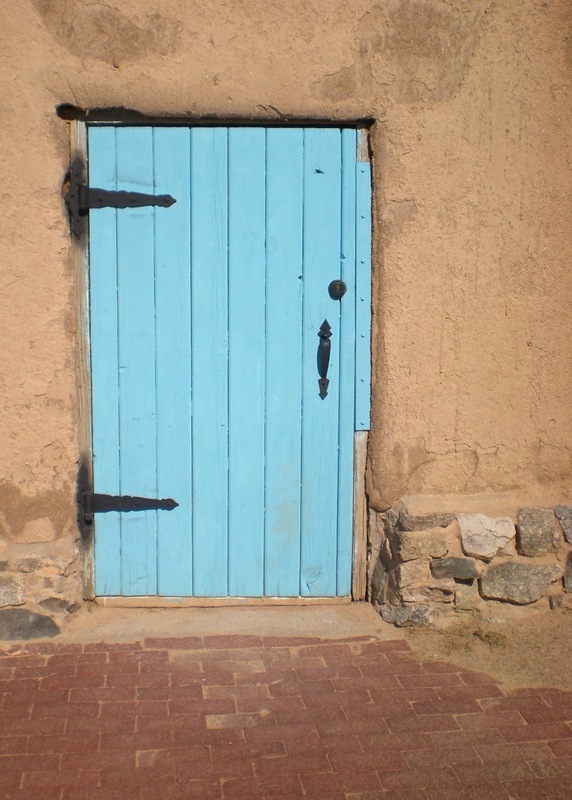 And, for some we don’t know what’s behind the adobe walls. 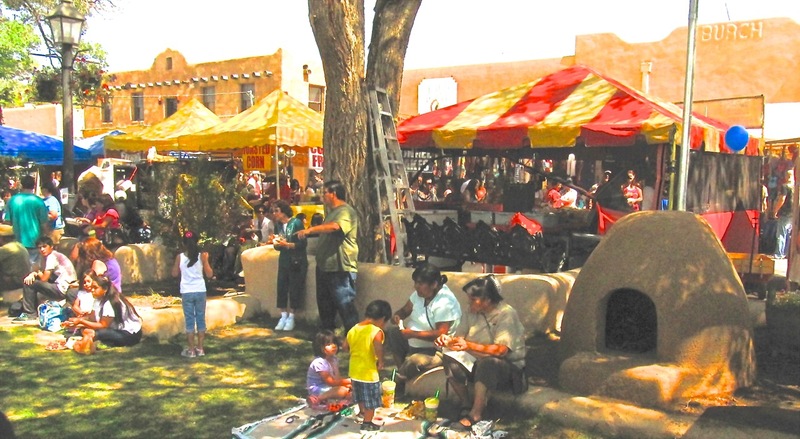 Century old traditions continue in Taos Plaza July 20-22, 2012 with Fiestas de Taos. 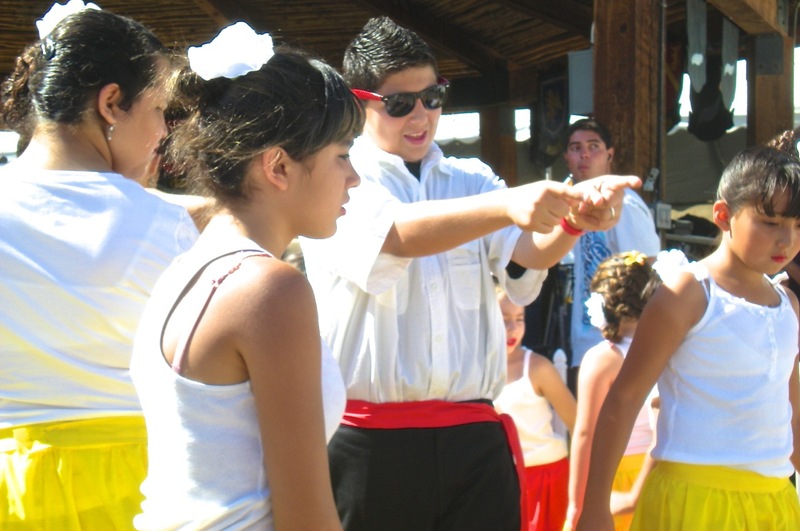 Parades, music, royalty, music, food, music, dance and more music. Opening ceremonies for Fiesta Mass at Our Lady of Guadalupe on Friday evening. Colorfully clad children Parade Saturday morning. 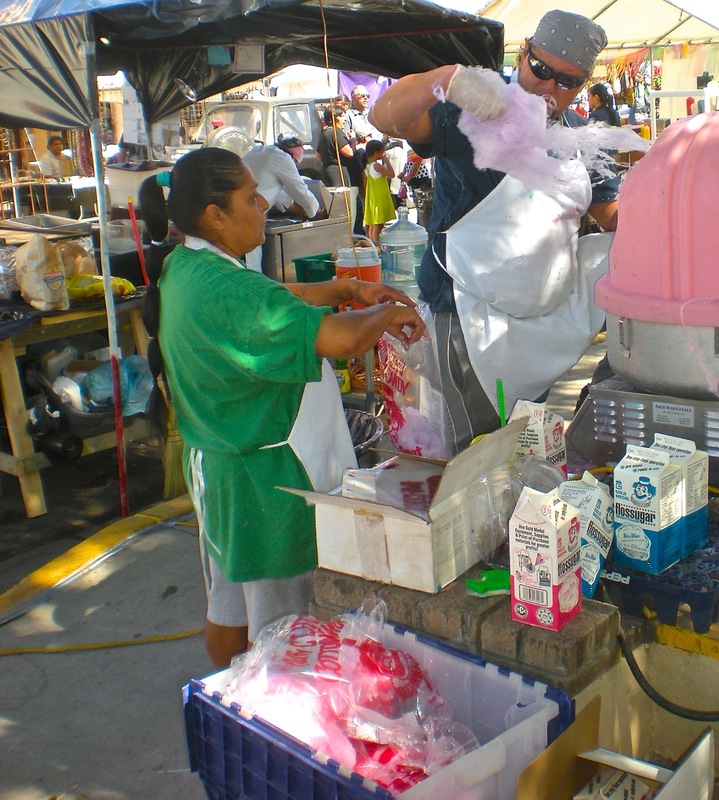 Families spread blankets to claim shady spots for the day of kid activities, shopping, entertainment and festival food. A dozen musical groups throughout the day until the Plaza closes at 10pm. 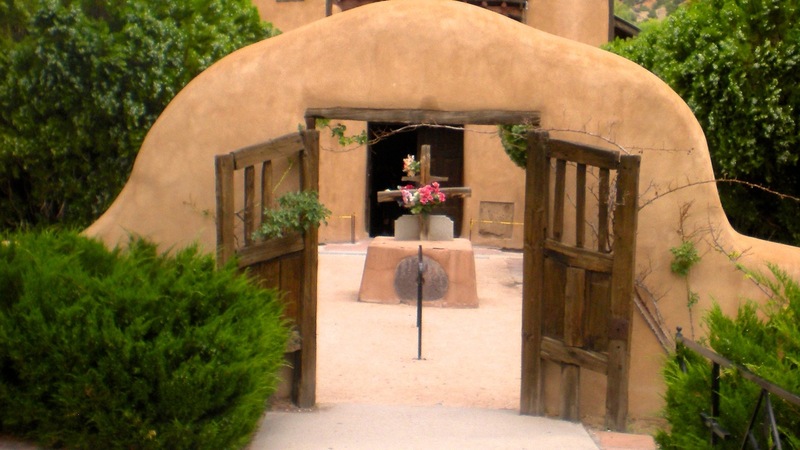 Sunday morning begins with the St. Francis Choir at 9am. 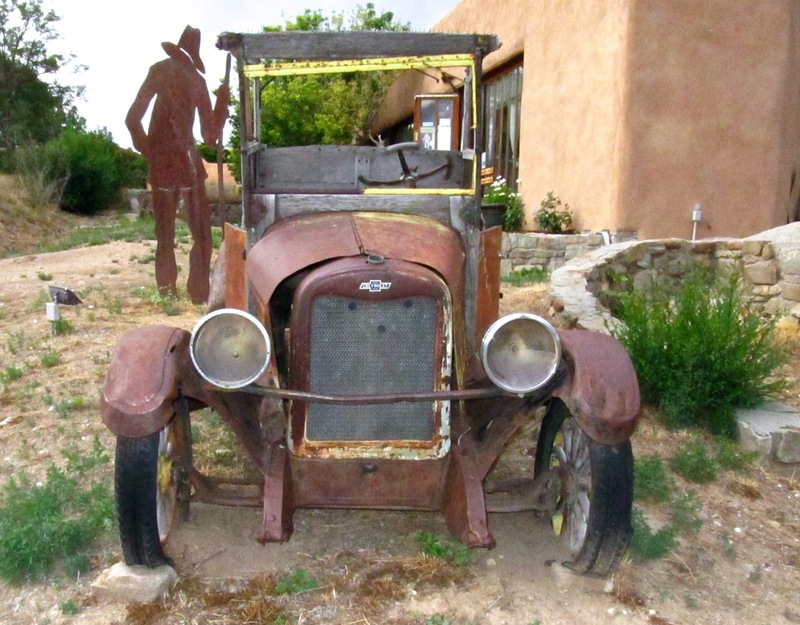 The Historical Parade at twelve noon on Sunday brings Taos traffic to a halt. 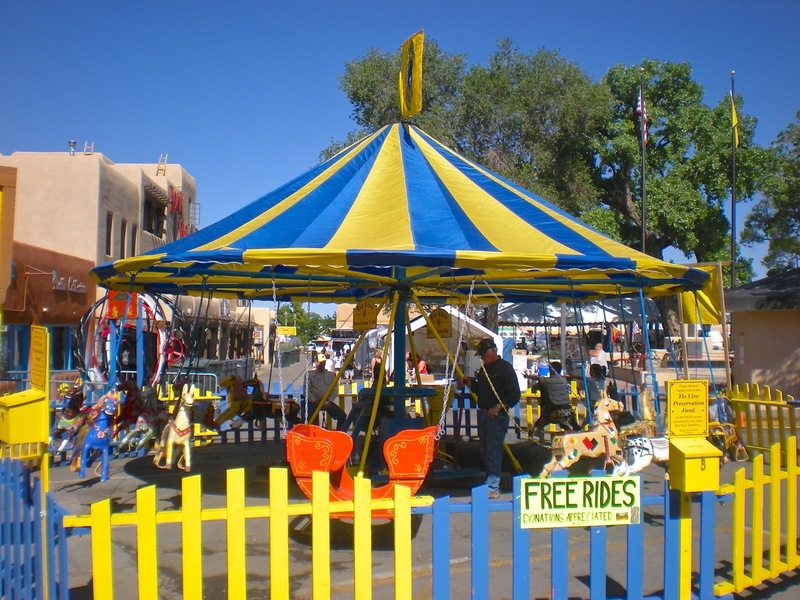 The Taos Lions Club maintains the priceless treasure that they feel belongs to the children of Taos. 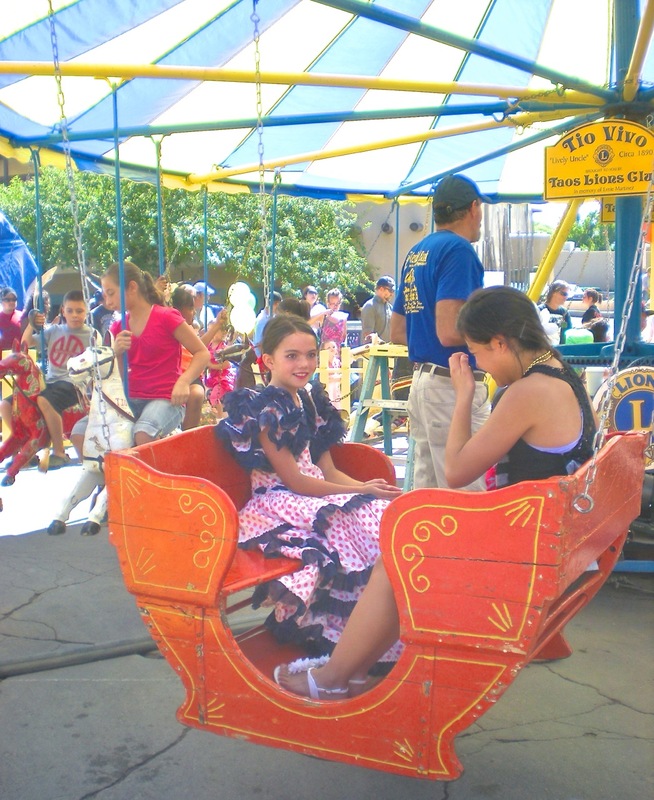 The club covers the large maintenance costs and hours of volunteerism so that children attending Fiesta can enjoy free rides on Tio Vivo . 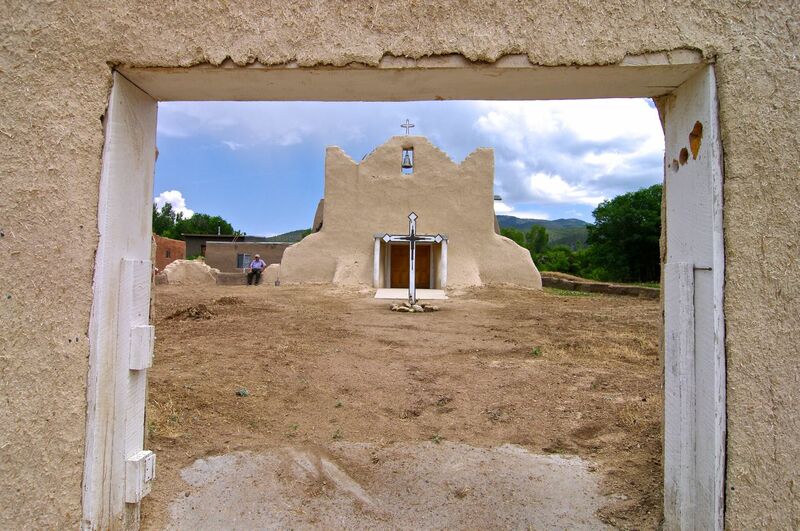 Pasturelands once separated the town of Taos and the defensive village of La Plazuela de San Antonio – The Little Plaza of Saint Anthony. 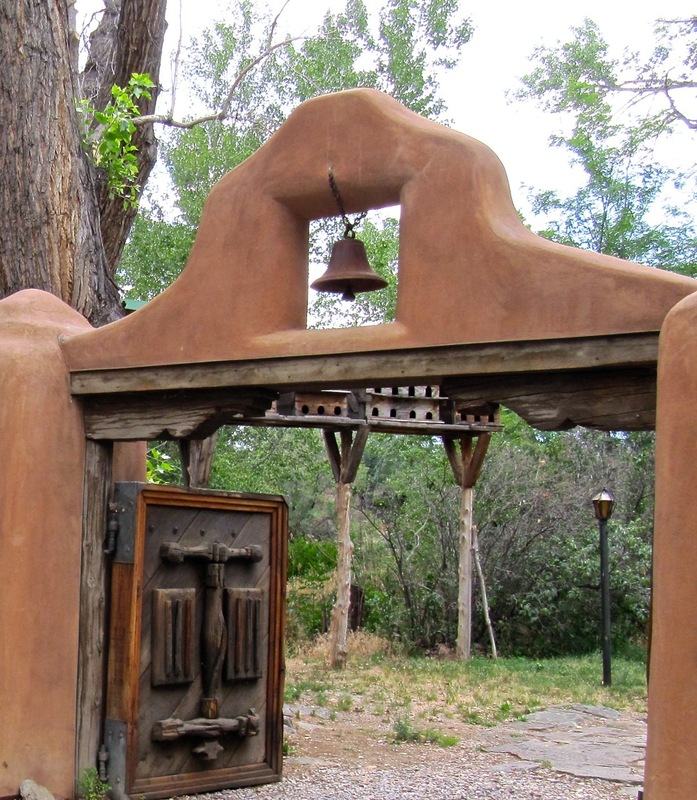 Renamed in 1964, La Loma Plaza, a few short blocks from the center of Taos, is designated as a National Historic District. 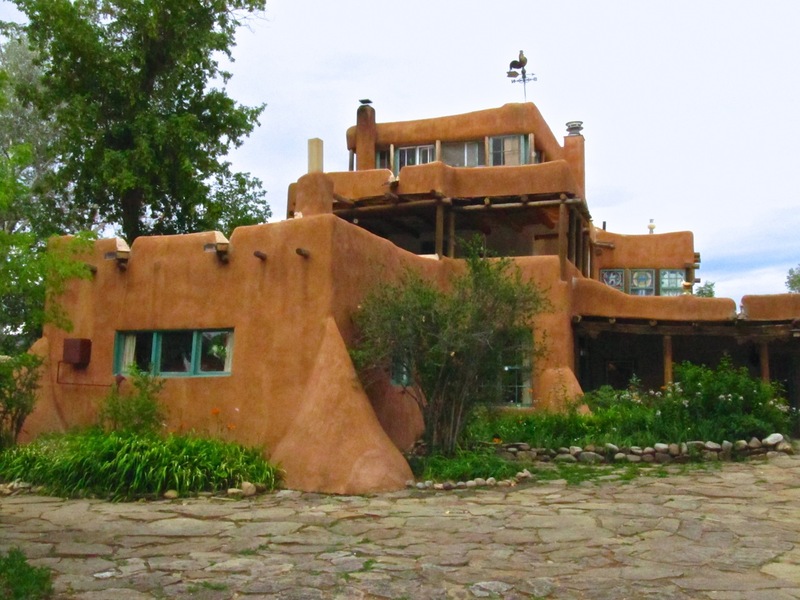 La Loma Plaza sits on a hill west of Taos Plaza. 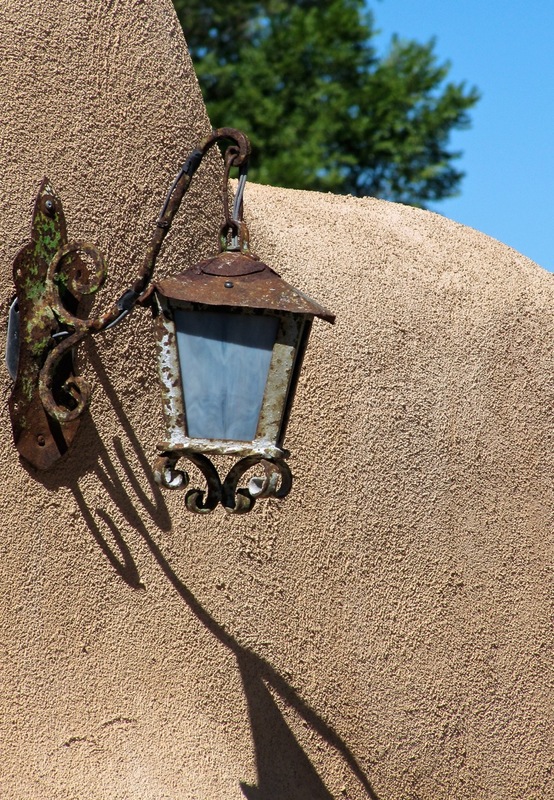 Spanish families began constructing adobe homes in 1796. The homes connected to each other. 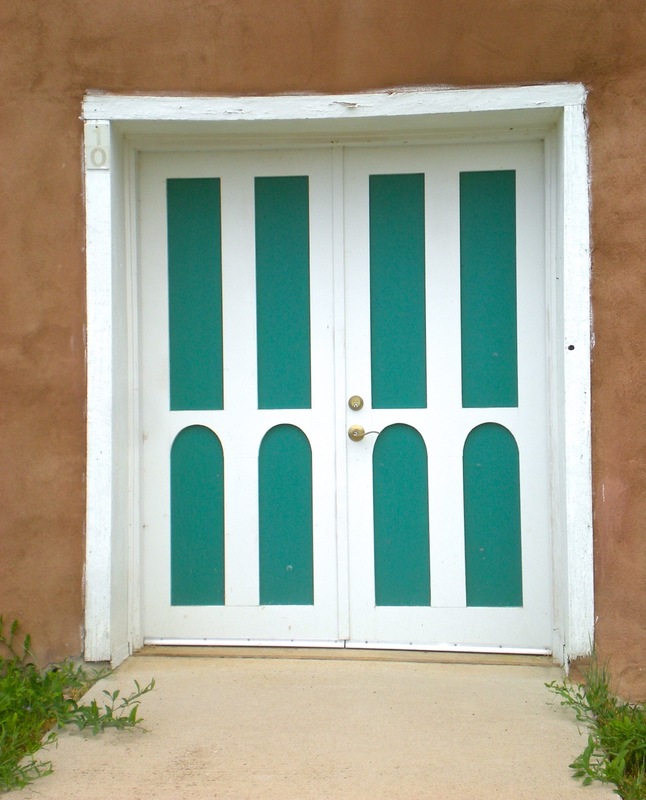 Windows and doors faced the interior plaza forming a square fortification to project themselves and their animals from Ute and Comanche Indian raids. 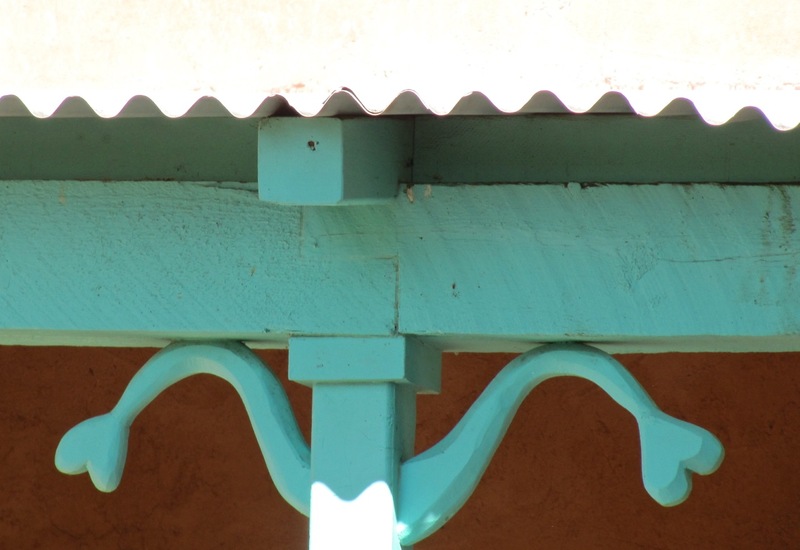 Today the core of many La Loma structures date back to original construction, some even owned by direct descendants of the first settlers. 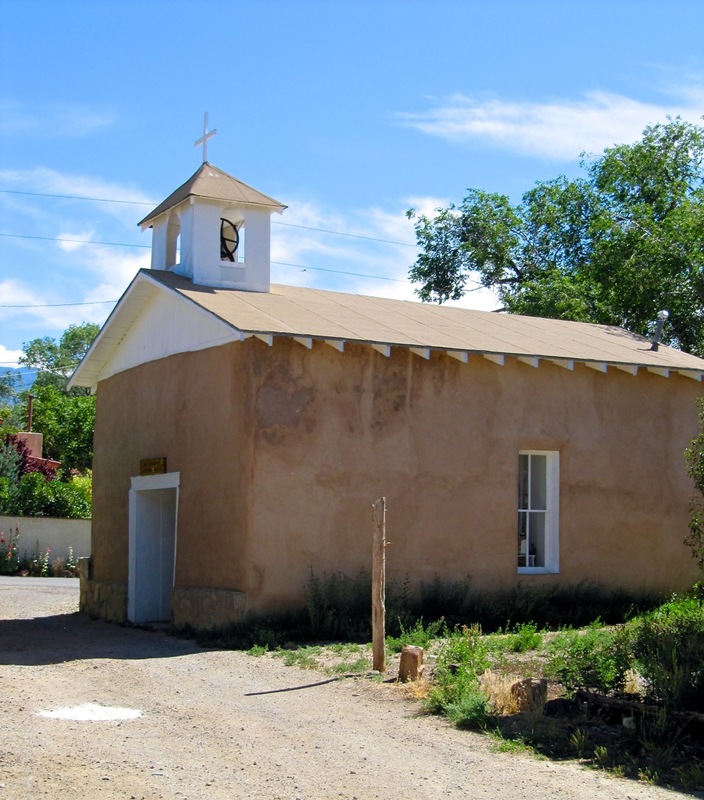 Entering La Loma Plaza, a narrow lane off Valdez Lane passes the diminutive San Antonio de Padua Capilla, circa 1875. A low stone wall encloses a small flagstone park. 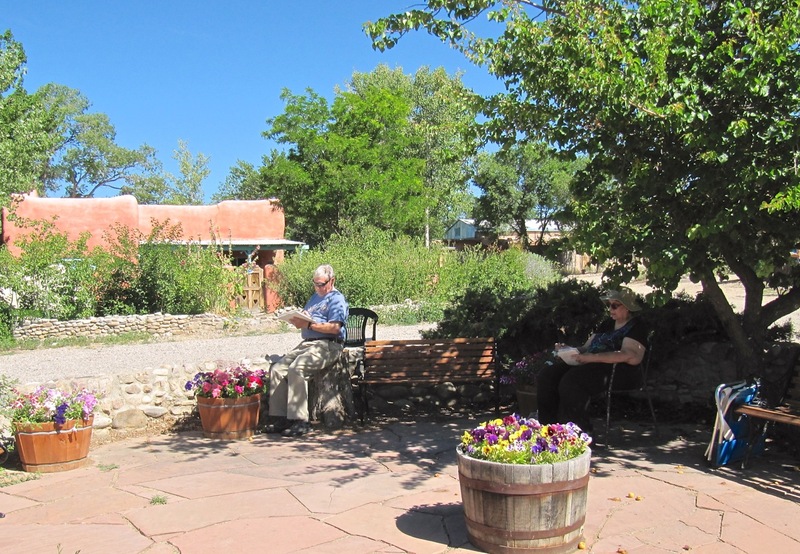 Trees shade benches and chairs – a welcoming spot to relax and note architectural details of the surrounding plaza. Several homes on the quiet plaza are available for vacation rentals. 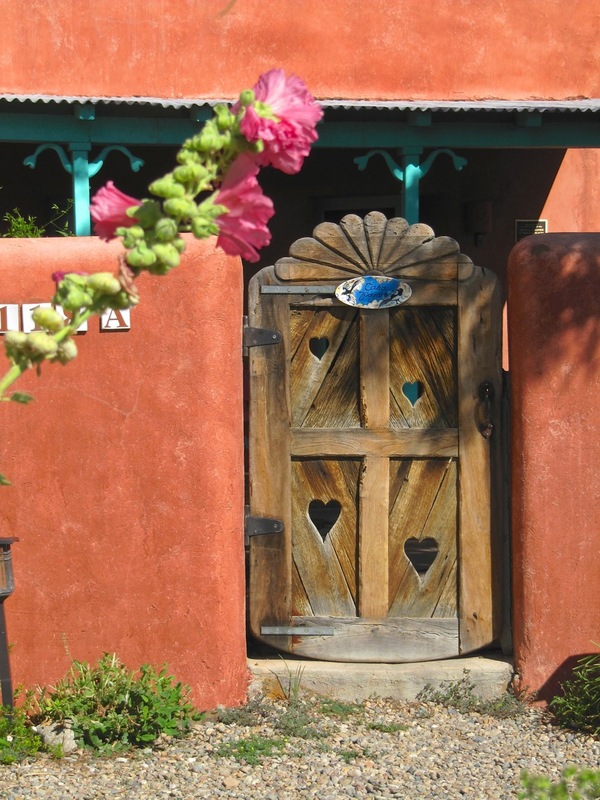 The pink adobe with heart motif gate immediately caught my eye, Casa Pajaro. 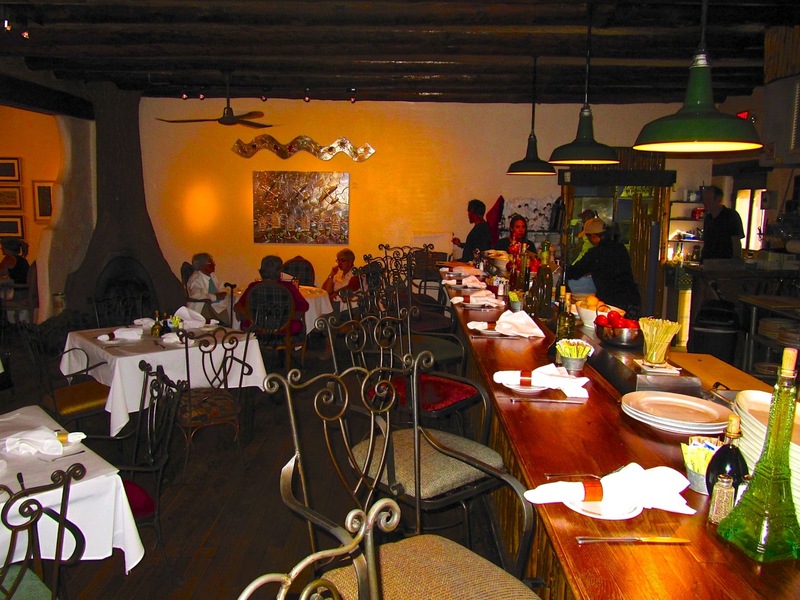 From Internet research I learn that the interior and much of the furniture has been painted my iconic Taos artist Jim Wagner. 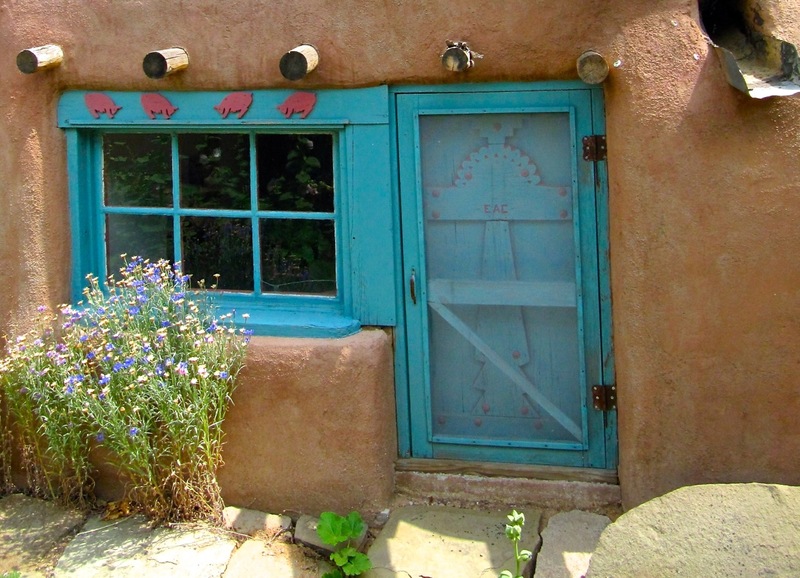 Known for bright colors and folksy style, Wagner captures a whimsical view of the Northern New Mexico character. 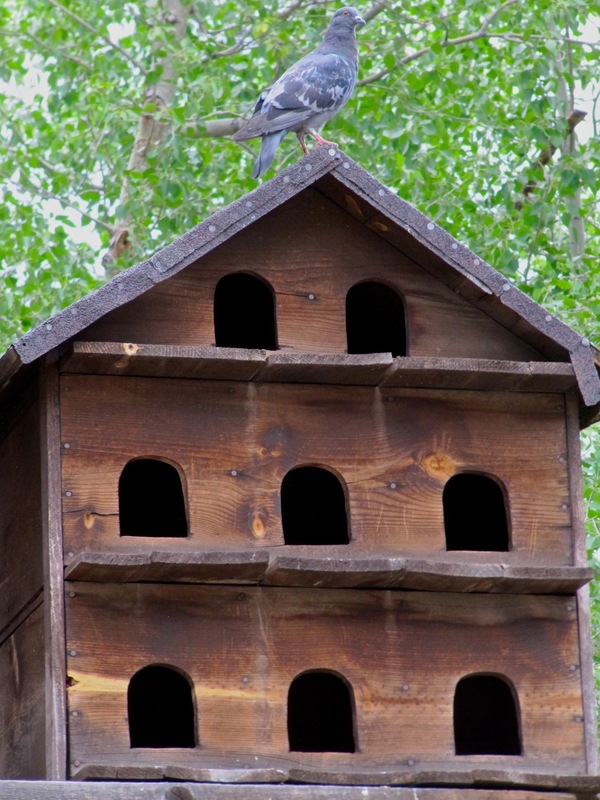 Ever-present, chattering magpies populate many of Wagner’s works. 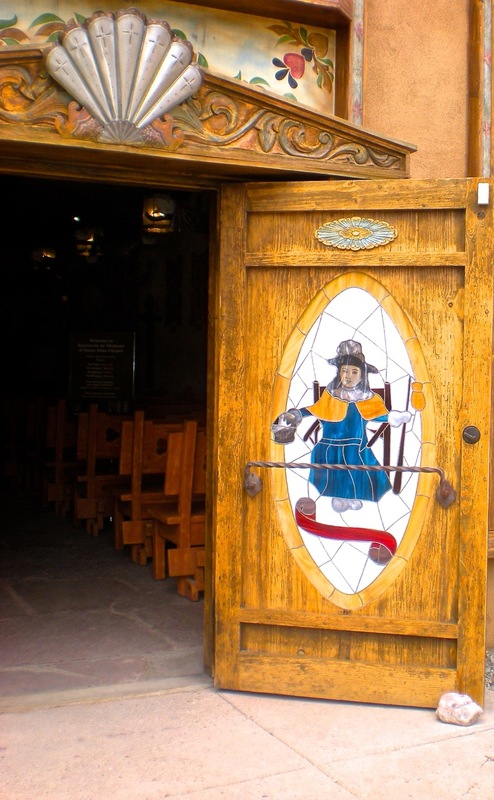 I would love to see the interior of Casa Pajaro, perhaps it will some day be our vacation rental location. Meanwhile, I have to appreciate historic La Loma Plaza from outside the adobe walls. Are we getting old or wise? 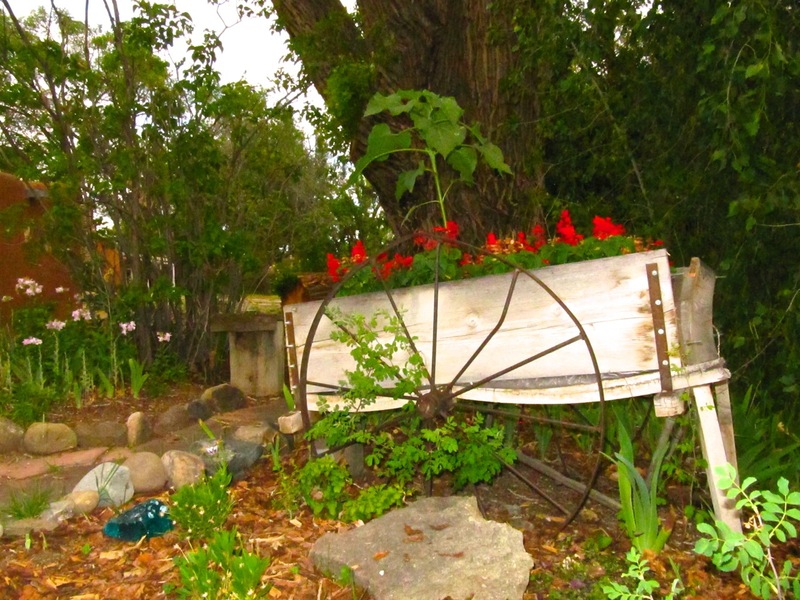 We did the unthinkable today with a slow paced day in our charming casita. Bob did some sketching, looking for inspiration for the coming week’s workshop. Nancy did some baking, writing and gazing into space. 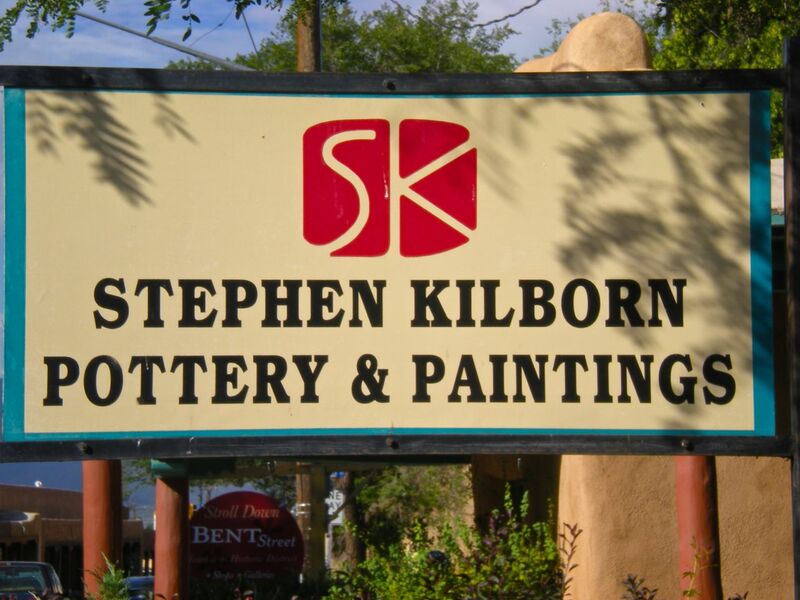 Stephen Kilborn held an orientation session for workshop participants in the late afternoon at his gallery in Taos. The group shared a bit of the bubbly and an overview of the week ahead. 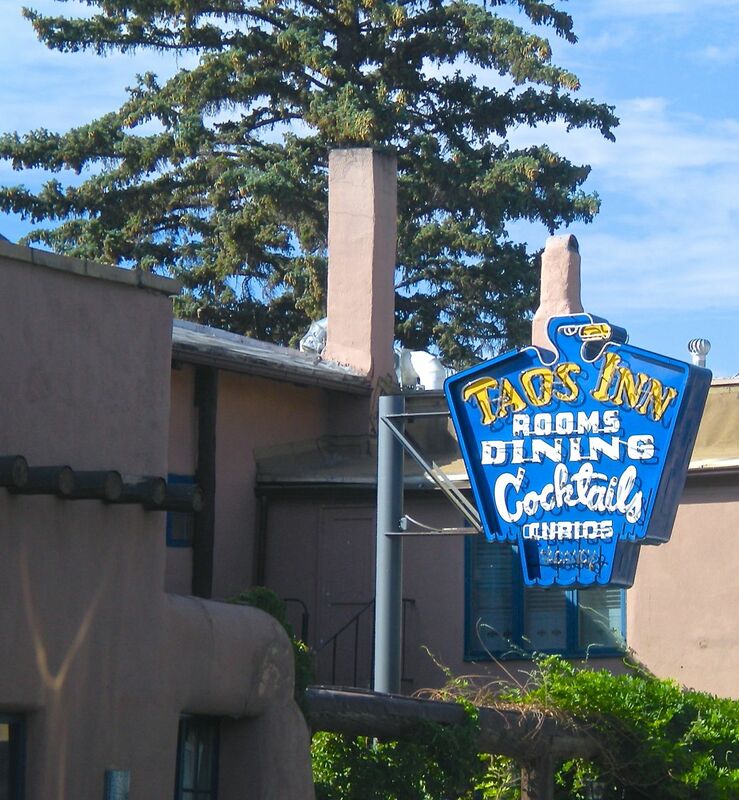 We join friends for a yearly tradition of dinner at Doc Martin’s in the Taos Inn. 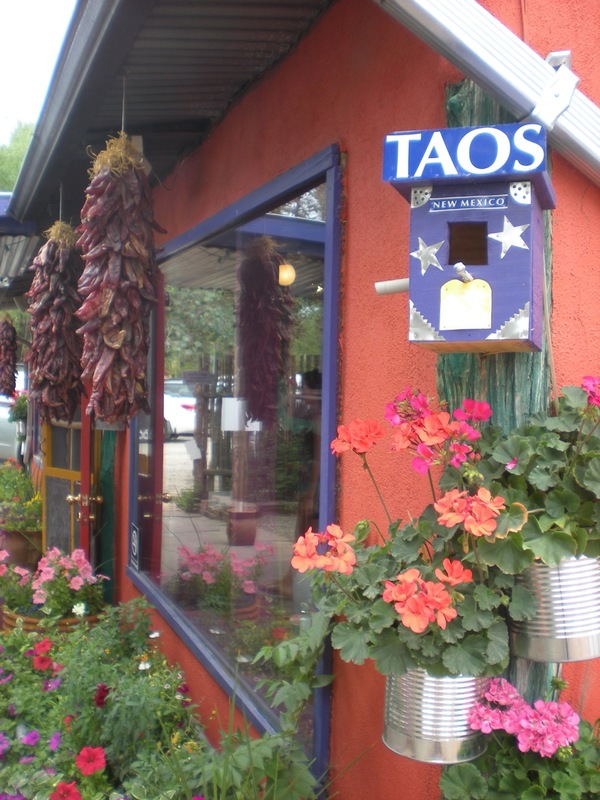 At least once during a Taos visit we need to have Doc’s Chile Relleno. 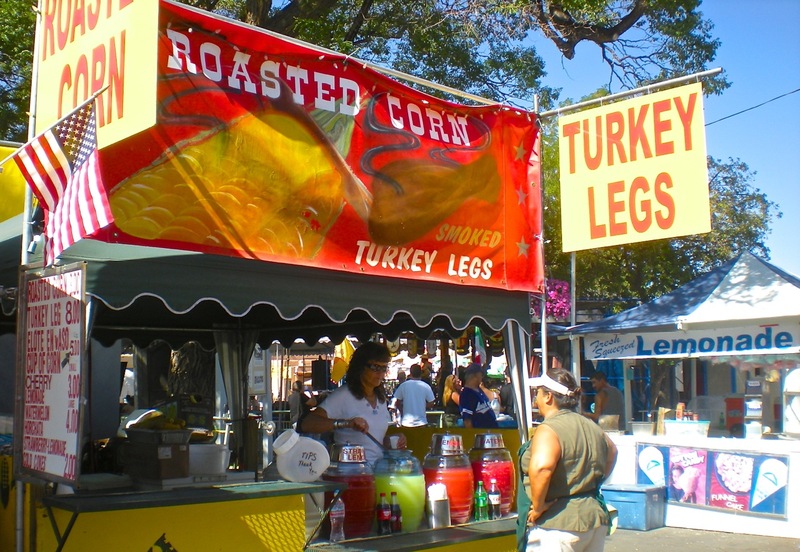 The cheese stuffed Anaheim chile is coated in a blue corn beer batter, smothered with traditional green chile, topped with pepitas and goat cheese cream with salsa fresca on the side. 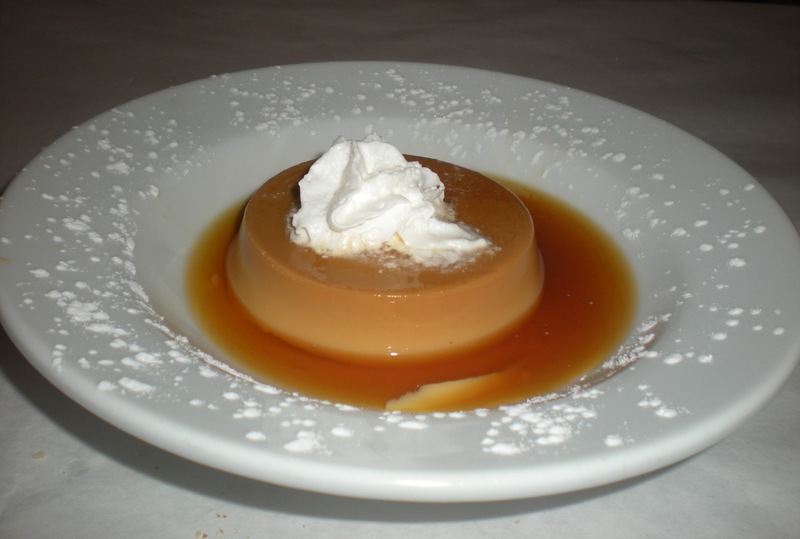 I dug in so quickly I didn’t remember to take a photo of the attractive presentation. Maybe next time. We spend a marvelous summer evening on the patio of the enclosed courtyard listening to Doug Montgomery piano CDs and planning for tomorrow. 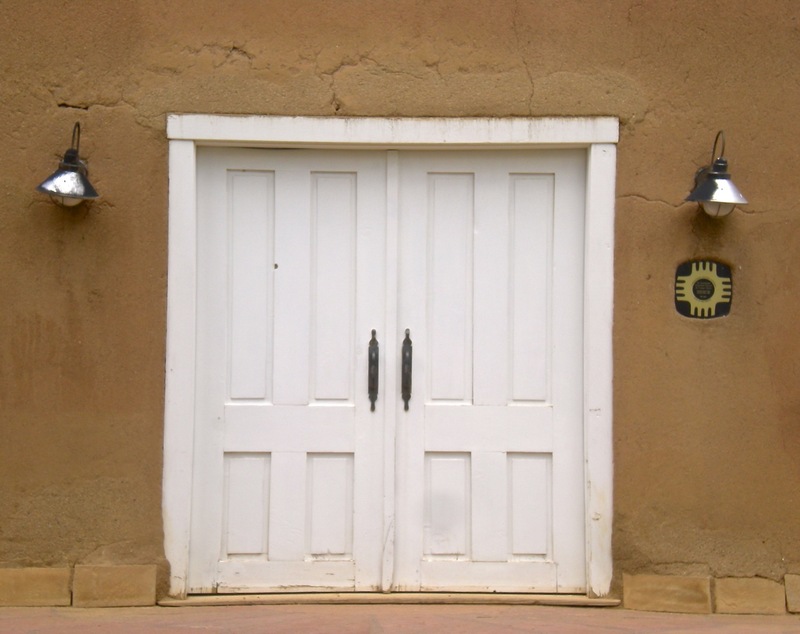 As we travel the roads of Northern New Mexico visiting some of the historic adobe churches I’ve started noticing the gateways and doors. 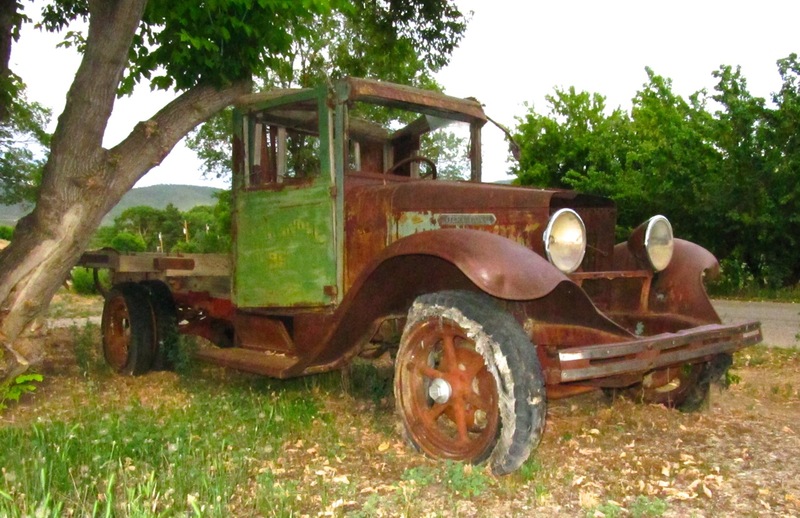 Some are finely handcrafted and well maintained while others are simple and barely functional. 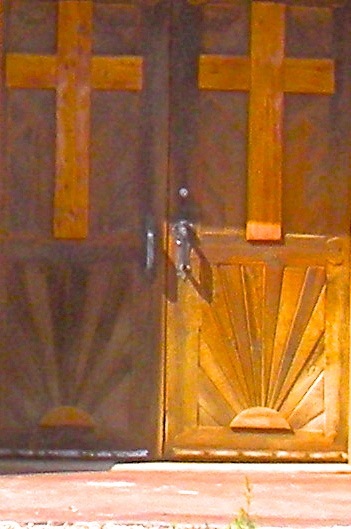 They all open as welcoming arms and embrace worshipers. 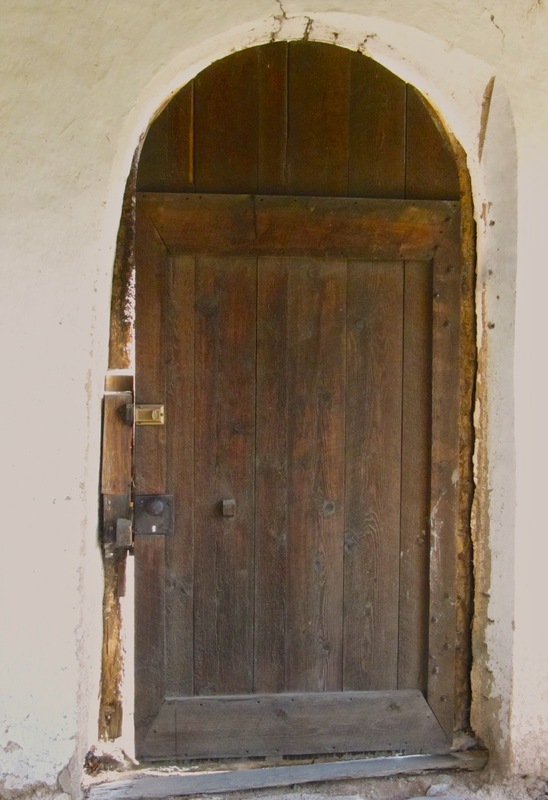 Enter here.